Usually, a post-judgment motion is filed when one or both former spouses, or their child, experience a change in circumstances that makes the prior judgment unfair or unworkable. A proposed relocation, whether in order to take a new job or be closer to family members or for other reasons, is often the basis for a very contentious post-judgment modification hearing.Obviously, relocation can make shared custody or visitation much more difficult and expensive, and can reduce the time that the non-custodial parent spends with the child. 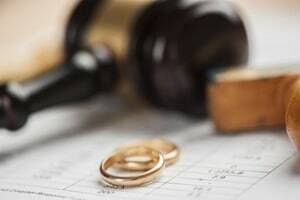 Economic changes are also grounds to bring a post-judgment modification motion.If a supporting former spouse loses his or her job, he or she may no longer be able to afford paying the same amount for alimony or child support. Conversely, if a former dependent spouse who was unemployed or underemployed starts a new job, that person may no longer need as much alimony or child support. If the supported former spouse loses his or her job, experiences a pay cut, or can only work part-time hours, then that person may need additional support, at least for some period of time. A parent is no longer responsible for paying child support when the child is emancipated.Emancipation may happen when the child reaches the age of 18, but it may also happen earlier or later.For example, a child may become emancipated when he or she moves out of a parent’s home, starts working full-time, or gets married. Turning 18 does not automatically make a child emancipated.The child may remain legally dependent on his or her parents if he or she is still in college and needs financial support from either or both parents, or if he or she has a disability (physical or mental) that prevents him or her from being completely independent. Another reason to request a post-judgment modification is if a parent or child develops a serious health issue, including a mental health issue.This can affect both spousal support and child support.For example, a former spouse may be unable to work, or unable to work full-time at a demanding or strenuous job due to a health issue.A child may need medical treatments, therapy, or equipment not covered by insurance. If you’re dealing with changes like these, you need an experienced New Jersey family law attorney to present your case and guide you through the process. If you have questions about post-judgment modifications, we invite you to contact our Hackensack office for a free initial consultation with one of our experienced New Jersey family lawyers. Call us today at 201-345-5907 or send us an e-mail and let us help you with your New Jerseypost-judgment modification.